Ecosystems. We're in a war of them don't you know? 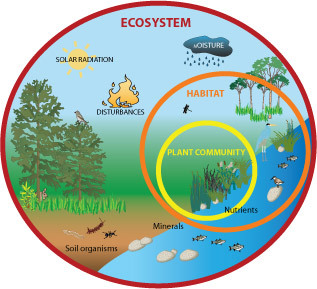 I shudder a little everytime I hear the word "ecosystem". Nokia’s close ties with Microsoft through Windows Phone was thought by some to be a bad move that might scare away other manufacturers, such as Samsung and HTC, who are all having a lot of success with Android. There has already been rumours of a 16MP Windows Phone from HTC, trying to pick up imaging glory where N8 still reigns supreme. This confirms what Elop first noted in MWC that Nokia is much better with competitors contributing to the ecosystem. Though you would think it might be in HTC’s interest then to ditch Windows Phone and let Microsoft and Nokia fail whilst they continue to rise with Android. HTC are a business and they’re after making money long term. Why not hedge your bets on two platforms, where BOTH could be successful? It gives them more flexibility too in the long run (not tied solely to Android) and promotes their brand (people don’t really recognize operating systems). Such a thing would not necessarily work for Nokia right now to do a double Android/WP as the core of the Microsoft deal is that Nokia doesn’t go Android. « Do you use Ovi Maps in Landscape or Portrait?